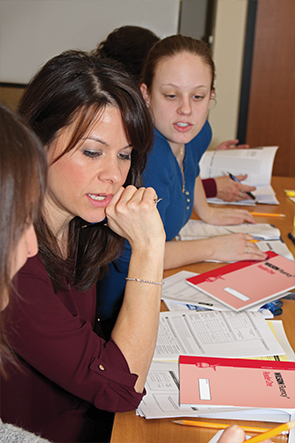 To implement Wilson Fluency®/Basic, the Wilson Fluency/Basic Workshop is recommended. This full day workshop is offered to schools and districts that are working with Wilson in implementing one or more of the Wilson programs. 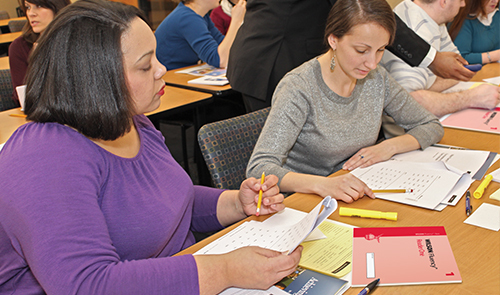 The workshop examines key aspects of explicit fluency instruction and reading practice necessary to develop students’ skills in reading with ease and expression to understand connected text. It provides hands-on practice with each program component, and measures student fluency levels in words correct per minute (WCPM) and prosody using the four-level scoring rubric.